Fabulous brings you Spinning Rings, a beautiful collection of mix and match rings which can be worn alone or stacked together for a truly customised look, unique to you. 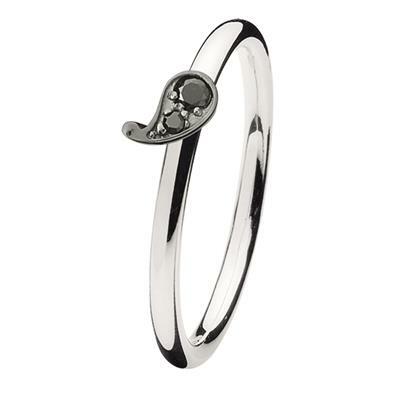 This gorgeous Sterling Silver stacking ring, named 'Paisley- Black' is a slim band with a paisley deisgn filled with sparkling black Cubic Zirconia. A lovely addition to an existing stack or can be worn alone.